Re-thinking how IT training works. For you. 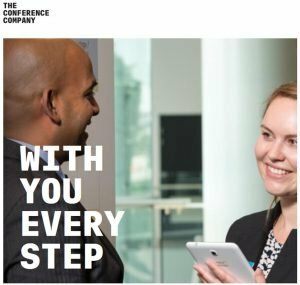 As a small kiwi business working in a global context, The Conference Company (TCC) faced some unique challenges. They compete around the world to host some of the most pre-eminent events against impressive competition from much larger operations. TCC has to present the same capabilities as these larger competitors while being nimble and cost-efficient. They have to set up a conference anywhere in the world quickly and efficiently, operate a first-class event, deal with any inevitable surprises that these events throw out, and then pack down and move on to the next one. These events are under massive pressure to achieve budgets, meet extremely tight time-frames, and preserve data security and protect highly sensitive information at all times. Kinetics Group’s “Best Practice Review” methodology provided a framework to identify key priorities for TCC’s application of technology. As much as anything, it helped TCC understand their own requirements more clearly and match that with our recommendations. That led to an understanding of the imperative to change, and the value that moving to the cloud offered. It set the path for a data-driven transformation, where Kinetics Group engaged with TCC to fundamentally evolve their workplace, moving from out-dated, cumbersome on-premise servers to Microsoft 365, and supporting staff to adopt new ways of working. With conferences almost always underway, there was no good time for a migration to new systems. Staff are always at some stage in planning or executing a number of events. When an event is underway, it’s “all hands on deck”. It’s worth noting that the team are event people, focused on delivering world-class conferences and stunning delegate experiences. For many of them, IT doesn’t come naturally. As the long-time technology partner of TCC, we knew they’d enjoyed a reliable computing experience for many years and this migration had to be as seamless and transparent, with no downtime. Change Management was a must and Kinetics has certified Change Management capability for these occasions. See what James Brehaut TCC’s Head of Operations and Technology had to say. Kinetics Group took their outdated servers and their old RDS remote access and moved them to Microsoft 365. We encrypted the endpoints with Windows 10 Enterprise and migrated their mail and documents to the Microsoft Cloud. Intune is next on their journey. We adopted Azure AD on all devices and worked with another Microsoft Partner (P&L) whom we had already introduced to the account to connect their Dynamics CRM into the new environment, lifting all their computing to the cloud. TCC are now serverless! With some events in particularly challenging geographies, often with poor connectivity, the ability to use these rich tools to access content online and offline, to share on demand and connect across time zones, means that this small team of just over 40 heads can now match much larger organisations. They enjoy the comfort of enterprise-level security, allowing them to offer clients the highest protection for their highly confidential data. This is vital, because while event registrations are maintained in a specialist SAAS events tool, most conferences still have highly confidential data ranging from personal information about attendees and presenters to presentation papers. They even manage award entries and winners for many prestigious events, for example New Zealand’s premier national sports awards, the Halbergs. The scrutiny and need for security on these cannot be overstated so the confidence that rights-management and DLP gives TCC are vital to ensuring they can continue to win the rights to manage these significant events. Them, there was also the need for the highest levels of reliability. With some events being televised, there is no room for downtime. Disaster Recovery must be instant. With Microsoft 365, TCC now know they only need internet connectivity to be able to operate anywhere, anytime. Previously there was a complex and expensive DR solution in place, and TCC have achieved significant operational savings in eliminating the need for these services. Likewise, by simplifying the platform, their IT maintenance costs have been slashed, even as the scope of support was able to move from a reactive monitoring programme to a proactive peace-of-mind management programme. But what did all that mean to TCC? This project has given TCC significant benefits. Scalability – Microsoft 365 has given TCC scalability, with the ability to take on temporary staff at periods of high-demand, then to revert back to the core team as workloads dictate. Visibility of devices, even when their work takes them to some of the more challenging (typically untrusted) geographies in the world. As James says “Wherever our staff are, now, we’re able to access everything we need seamlessly, as if we were back here in the office. The conference business is highly competitive. The ability to win business is dependent on a number of factors, with security and IT performance among them. Microsoft 365 and Microsoft Azure are giving TCC the ability to successfully compete against much larger operations. Scale is no longer a factor. Have you noticed the new Office search?